Using personal information allows us to develop a better understanding of our customers and in turn to provide you with relevant and timely information about the work that we do – both on and off stage. As a charity, it also helps us to engage with potential donors and supporters. If you have any queries about this policy, please contact us using the contact details at the end of this policy. 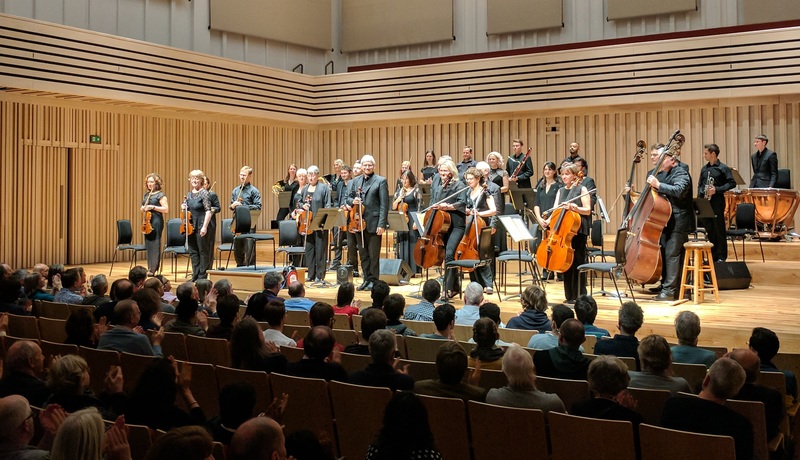 Northern Chamber Orchestra is a charity and is funded by various trusts, foundations and individual donors and supporters. Our registered charity number in England and Wales is 278912 and we are also registered as a company in England and Wales under registration number 1430784. When you make a purchase from us or make a donation to us, you are entering into a contract with us. In order to perform this contract we need to process and store your data. For example we may need to contact you by email or telephone in the case of cancellation of a performance, or in the case of problems with your payment. In certain situations we collect and process your personal for purposes that are in our legitimate organisational interests. We describe below all situations where we may use this basis for processing. We use our legitimate organisational interest as the legal basis for communications by post and email. In the case of postal mailings, you may object to receiving these at any time using the contact details at the end of this policy. In the case of email, we will give you an opportunity to opt into receiving them during your first purchase with us. You can unsubscribe by following this link. We will also provide you with an option to unsubscribe in every email that we subsequently send you, or you can alternatively use the contact details at the end of this policy. Marketing emails are currently sent through Mailchimp which complies with the EU-U.S. Privacy Shield Framework. We may also contact you about our work by telephone, however we will always get explicit consent from you before doing this. Please bear in mind that this does not apply to telephone calls that we may need to make to you related to your purchases (as above). We will not transfer, process or store your data anywhere that is outside of the European Economic Area or to anywhere that does not comply with the EU-US Privacy Shield Framework.